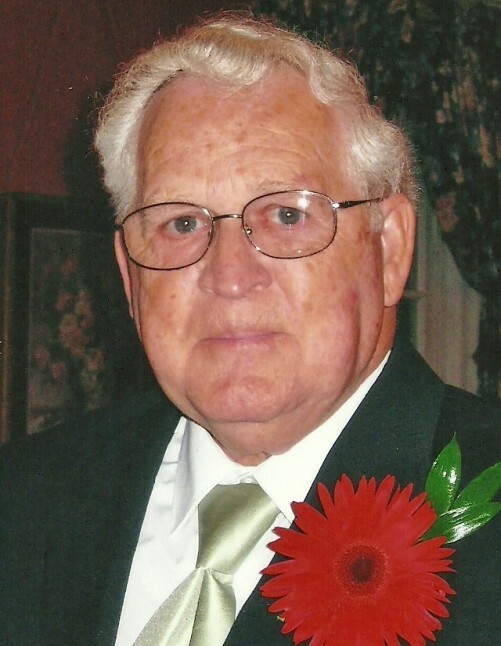 Raymond L. Bland, 87, of Marion, Indiana, passed away at 9:50 p.m. on Wednesday, February 6, 2019. He was born on January 19, 1932, in Wabash, to the late William H. and Leora (Dunn) Bland. Raymond was a 1952 graduate of Linlawn High School. After graduation, Raymond joined the United States Army and served until 1954. While in the Army, he served in the Korean War. Raymond married Mary Ann Glover on April 26, 1980. She passed away on February 7, 2011. Raymond retired from Container Corporation in 1997. After retiring he worked as a real estate agent with Terrell Realty, retiring in 2013. Raymond was a IU fan. He loved playing the harmonica and watching his grandchildren's sporting events. Raymond is survived by his son, Raymond Bland, Jr., of Marion; daughter, Rae Ann (Jacob) Taylor, of Marion; grandchildren, Xander Taylor and Syler Taylor; and step-grandchildren; Derrick Jivery and Branden Jivery. He is preceded in death by one brother and three sisters. Funeral services will be at 10:00 a.m. on Monday, February 11, 2019 at McDonald Funeral Home, LaFontaine Chapel, 104 South Main Street, LaFontaine, Indiana 46940. Pastor John Cook will be the officiant. Burial will follow immediately at the LaFontaine IOOF Cemetery. Visitation for family and friends will be from 2:00 p.m. to 6:00 p.m. on Sunday, February 10, 2019 at the funeral home.